A brand is a universe of emotions, experiences and moments that are created. The name is not the brand, but I am a big believer that names can help define or destroy brands. Take for example, Dress Barn. In one of the best billboards I have ever seen just outside Madison Square Garden, they poke fun at their name and tell consumers to "Get Over It." They feature pigs and chickens in an eye-catching way juxtaposed with models wearing merchandise that looks quite stylish for a brand called Dress Barn. That said, great billboards do not make great brands, and one of the elements of a great brand is a name that resonates with its target audience. 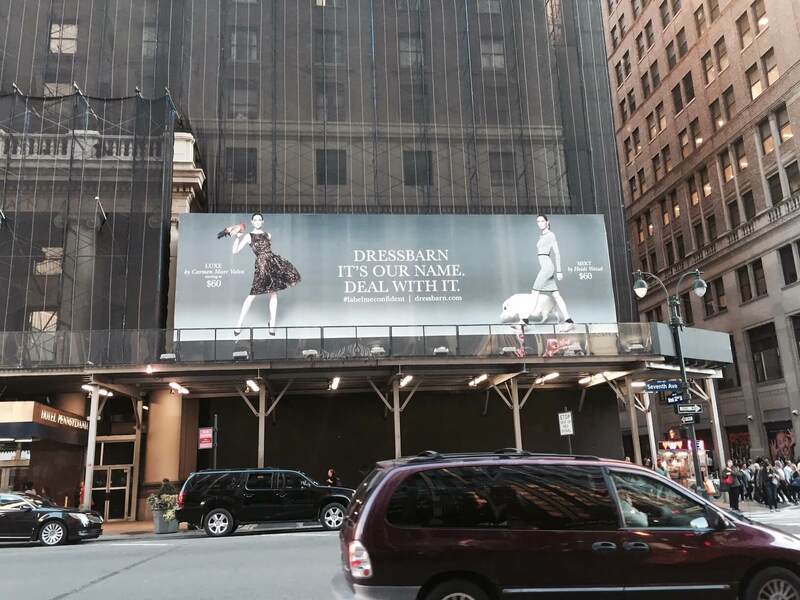 Maybe one day when they were first founded, Dress Barn made sense to consumers. However, the name did not evolve with the consumer who now looks at a Barn as unrelatable and would rather shop at cooler named brands like Chicos, White House Black Market or Urban Outfitters. My recommendation would be to always read the hearts and minds of your consumer. Do not take them for granted or they will do the same to you. To this point, Ascena Retail Group, the women’s clothing retailer that operates Dress Barn, Lane Bryant, Justice and several others, is planning to close hundreds of stores by July 2019. Its remaining 399 stores will be shut down if rent concessions aren’t obtained through negotiations with landlords. Yes, Dress Barn can blame the current retail climate for the carnage to their brand, but if they would have focused on fundamentals, they might still be in the dress business.